Reward your pet in having hours of playtime fun! 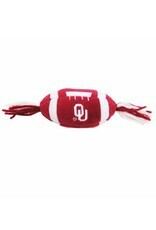 This Officially NCAA licensed football toy is made of 100% soft team color plush and features an embroidered team logo. Yarn tassels are attached at both ends and loose catnip is added into the poly filling for pet's enjoyment. 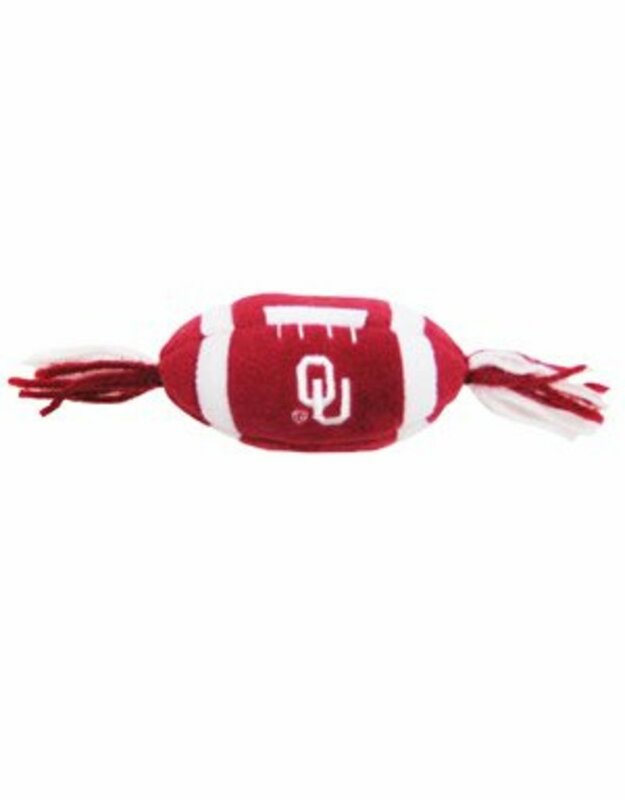 Give your pet some team spirit with this Pets First plush football catnip toy! Oval soft plush shaped ball - 4" long x 2" wide. Yarn tassels 1.5" long each attached on both ends.